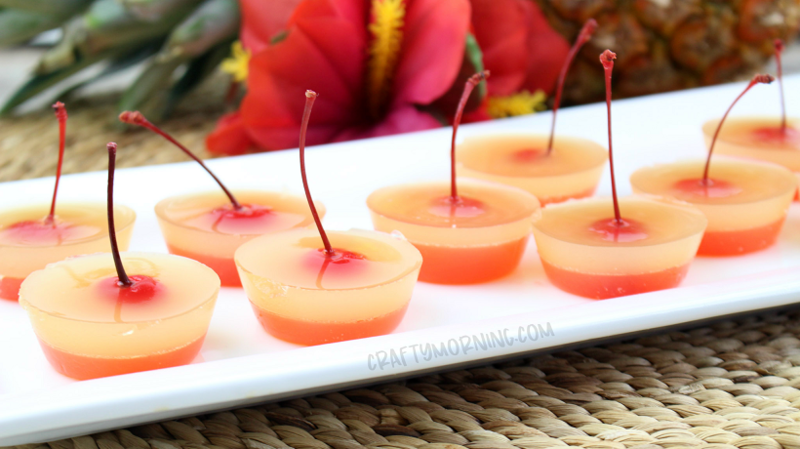 Make some pineapple upside down cake jello shots this summer! 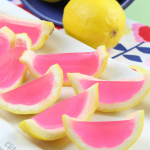 These use alcohol but you could omit it to make for the kiddos too! 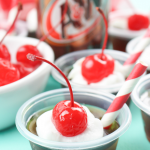 Cut off the the bottom of each stemmed cherry and place in the plastic cups. 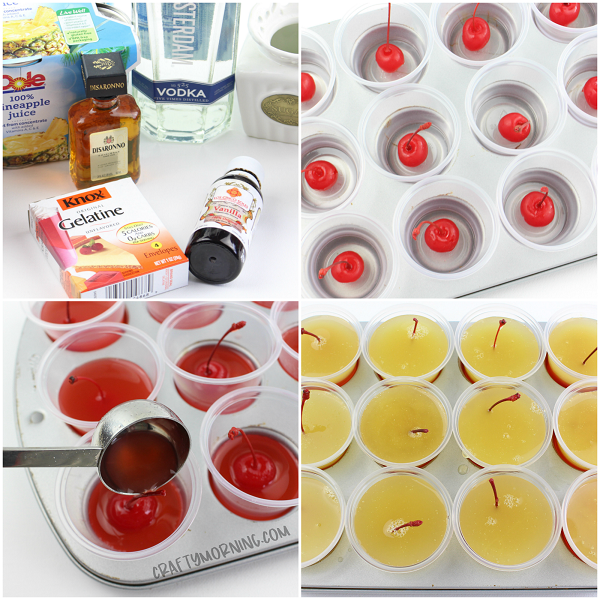 Place the plastic cups inside a mini muffin tin or place on a cookie sheet. Set aside the bottom pieces for later use. 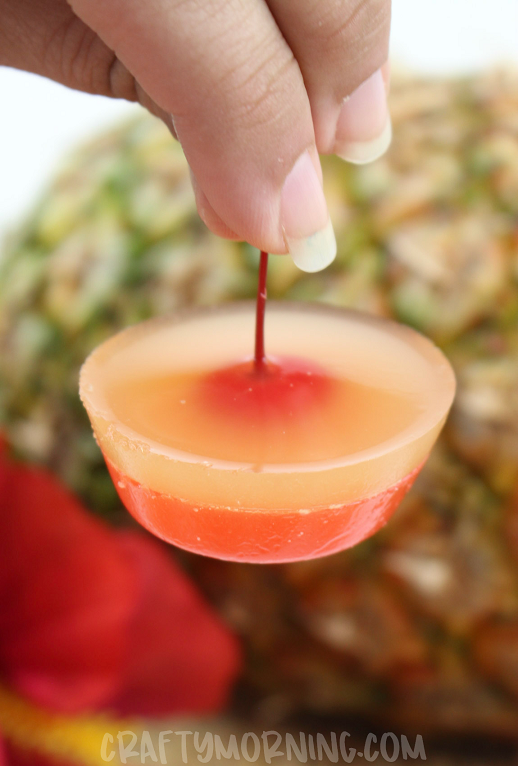 Add the pineapple juice to a small saucepan and warm the juice under medium/low heat for 5 minutes, stirring occasionally. Do not allow the juice to boil. Remove from heat and whisk in the sugar and unflavored gelatin. Return to medium heat and whisk constantly until the gelatin is completely dissolved (about 2 minutes). Remove from heat. 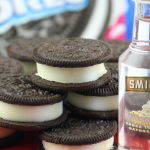 Add the chilled vodka and stir well. 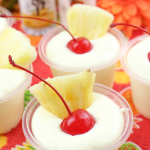 Divide the pineapple vodka mixture evenly into 2 bowls. 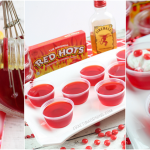 Add the grenadine to one bowl (it will make the juice a red-orange color) and pour over the cherries in each plastic cup, filling each cup 1/2 of the way. 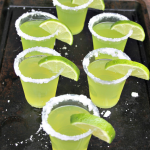 Optional - add a splash of amaretto to each cup. 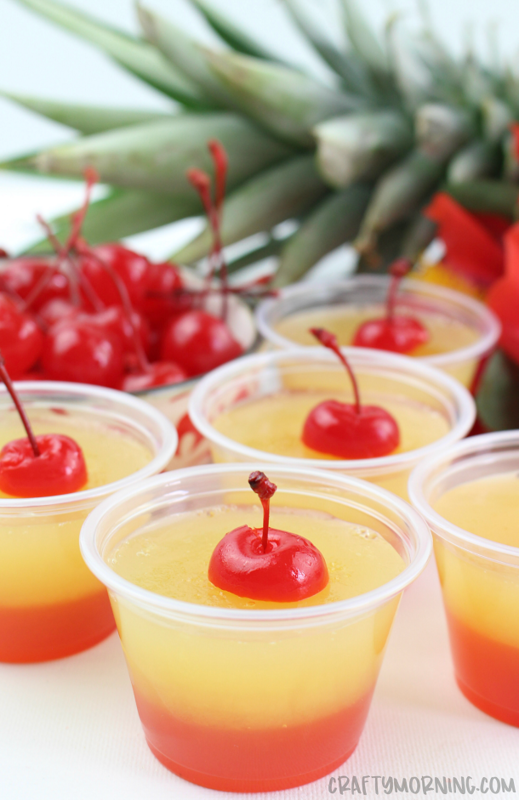 Set aside the remaining bowl of juice for Step 7. 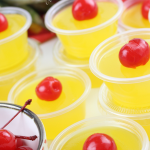 Chill for 30 minutes to allow the gelatin to "set." 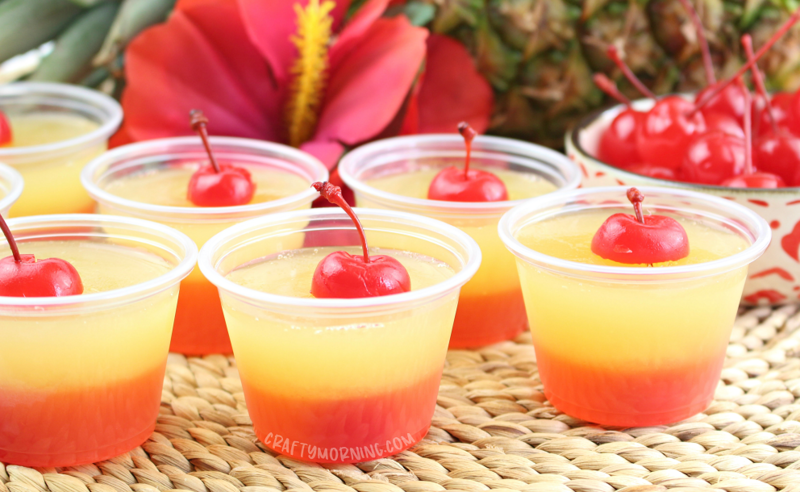 Once chilled, pour the remaining pineapple vodka mixture on top of the orange layer and return to the refrigerator. Chill for an additional 30 minutes. 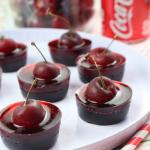 Take the bottom pieces of the cherries and poke a hole into the middle of each piece. 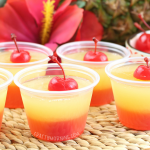 Once the pineapple upside down Jello-O shots are "set," slide a cherry piece over each stem and allow each piece to lay on top of the yellow layer. 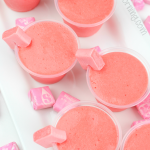 To pop them out, set the cups in warm water and they will pop right out!